Sensing without battery power; 1D interconnects; chromium memory. Engineers at the National University of Singapore developed an IoT-focused sensor chip that can continue operating when its battery runs out of energy. 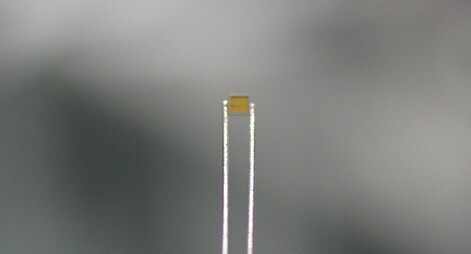 The chip, BATLESS, uses a power management technique that allows it to self-start and continue to function under dim light without any battery assistance. The chip can operate in two different modes: minimum-energy and minimum-power. When the battery energy is available, the chip runs in minimum-energy mode to maximize the battery lifetime. However, when the battery is exhausted, the chip switches to the minimum-power mode and operates with a power consumption of about half a nanoWatt. Power can be provided by a very small on-chip solar cell that is about half a square millimeter in area, or other forms of energy available from the environment, such as vibration or heat. The team says the use of the two modes allows for a battery just a few millimeters in size, rather than a few centimeters. The device can uninterruptedly sense, process, capture and timestamp events of interest regardless of battery state, then wirelessly transmit the data to the cloud when the battery becomes available again. Despite being in minimum-power mode when battery is not available, the reduced speed of the microchip is still adequate for IoT applications that need to sense parameters that vary slowly in time, including temperature, humidity, light, and pressure. The device is indifferent to battery availability and can self-start while being powered directly by the tiny on-chip solar cell, with no battery assistance. The team had demonstrated this at 50-lux indoor light intensity, which is equivalent to the dim light available at twilight, and corresponds to nanoWatts of power. The team plans further work on battery indifferent systems that cover the entire signal chain from sensor to wireless communications, with the long-term goal of completely eliminating the need for batteries in such devices. 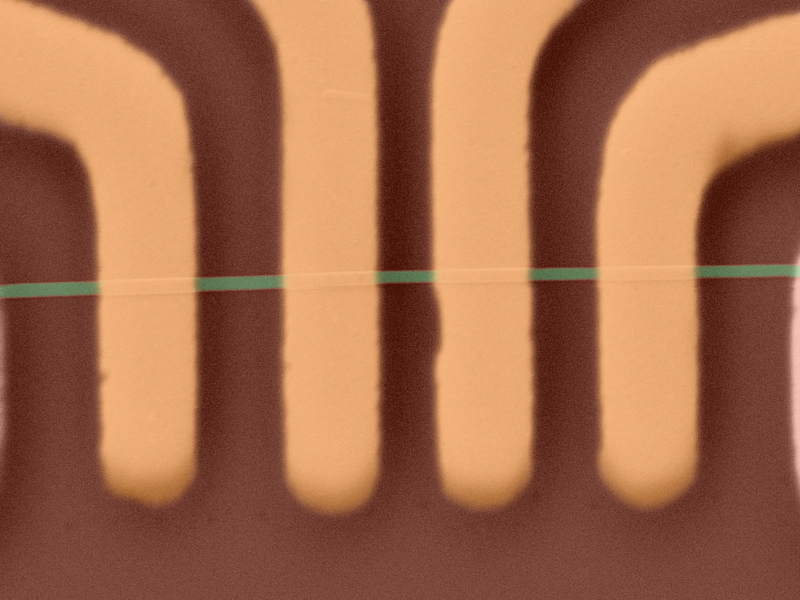 Engineers at the University of California, Riverside, developed one dimensional interconnects made from zirconium tritelluride, or ZrTe3, nanoribbons that can conduct a current density 50 times greater than conventional copper interconnect technology. In principle, such quasi-1D materials could be grown directly into nanowires with a cross-section that corresponds to an individual atomic thread, or chain. In the present study the level of the current sustained by the ZrTe3 quantum wires was higher than reported for any metals or other 1D materials, the team reported. It almost reaches the current density in carbon nanotubes and graphene. Depending on how they are configured, the ZrTe3 nanoribbons could be made into either nanometer-scale local interconnects or device channels. “The most exciting thing about the quasi-1D materials is that they can be truly synthesized into the channels or interconnects with the ultimately small cross-section of one atomic thread– approximately one nanometer by one nanometer,” Balandin said. 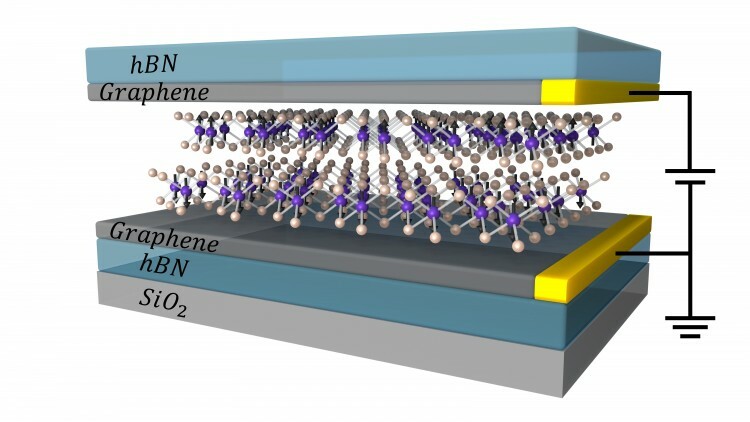 While the group’s experiments were conducted with nanoribbons that had been sliced from a pre-made sheet of material, industrial applications would need to grow nanoribbon directly on the wafer. This manufacturing process is already under development, and Balandin believes 1D nanomaterials hold possibilities for applications in future electronics. Researchers from the University of Washington, the University of Hong Kong, Carnegie Mellon University, the National Institute for Materials Science in Tsukuba, and Oak Ridge National Laboratory are working on a new atomically thin memory device using stacked sheets of 2-D magnetic insulator chromium tri-iodide (CrI3) to control the flow of electrons based on the direction of their spins. The researchers sandwiched two layers of CrI3 between conducting sheets of graphene. They showed that, depending on how the spins are aligned between each of the CrI3 sheets, the electrons can either flow unimpeded between the two graphene sheets or were largely blocked from flowing. These two different configurations could act as the bits to encode information.